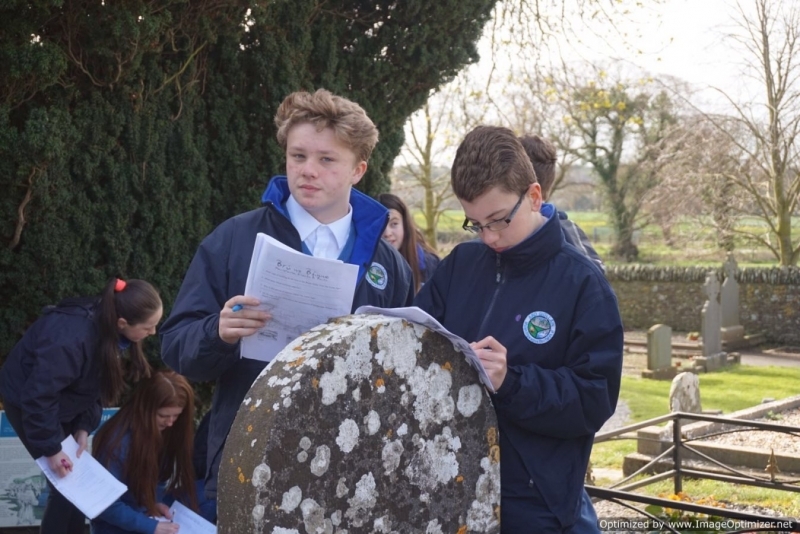 The First Year History Trip took place on the 18th and 19th of April. 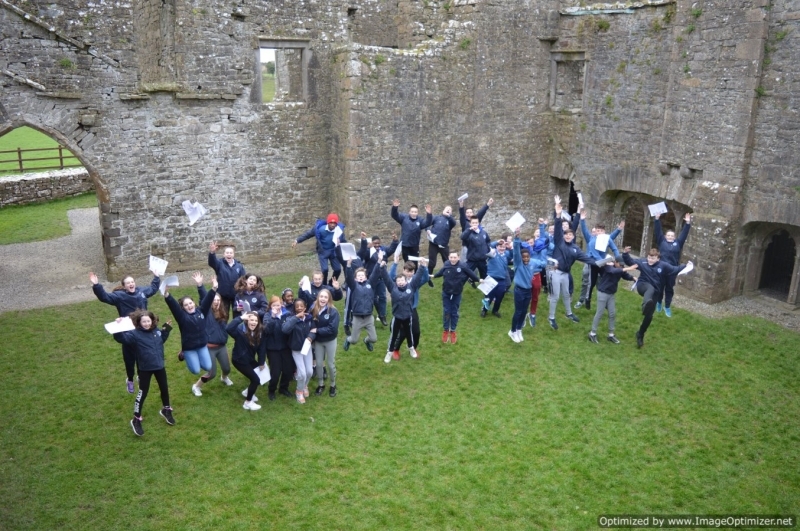 150 keen students arrived in school at 8.15am and boarded their busses for the day. 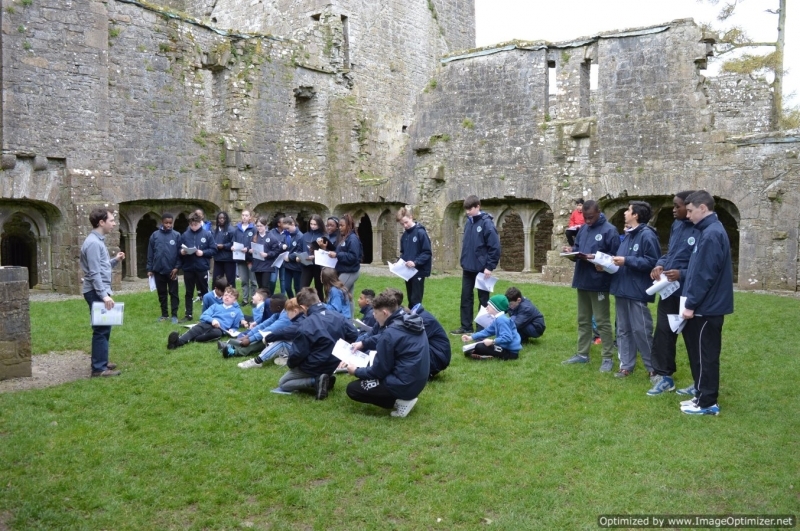 A wonderful day was had by all, exploring the archaeological sites across Louth and Meath, tracing the footsteps their ancestors along the River Boyne. 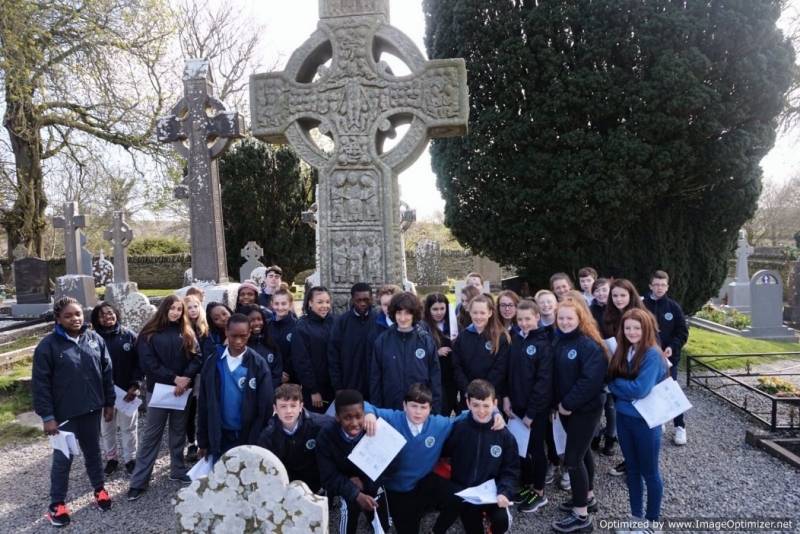 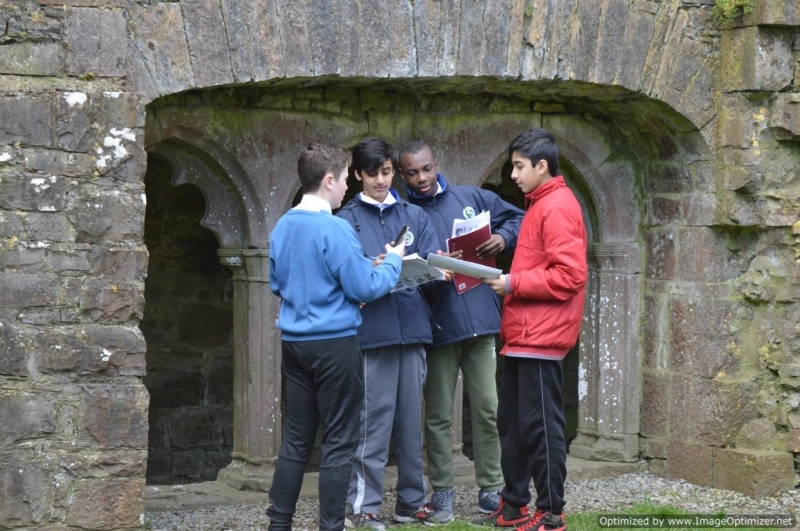 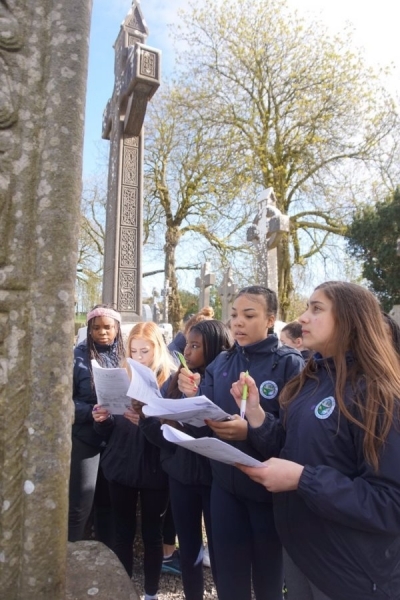 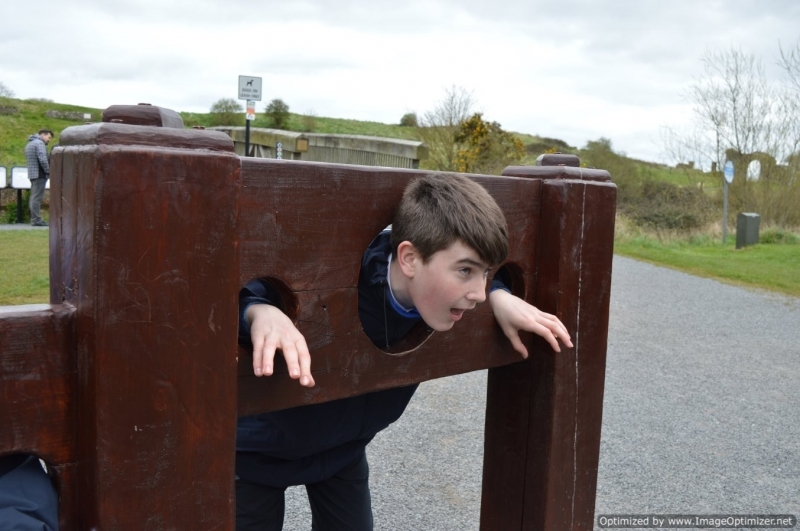 The trip organised by Mr. McKeown and Ms. Delaney, gave students the opportunity to come face to face with sites and monuments encountered in the first year history syllabus. 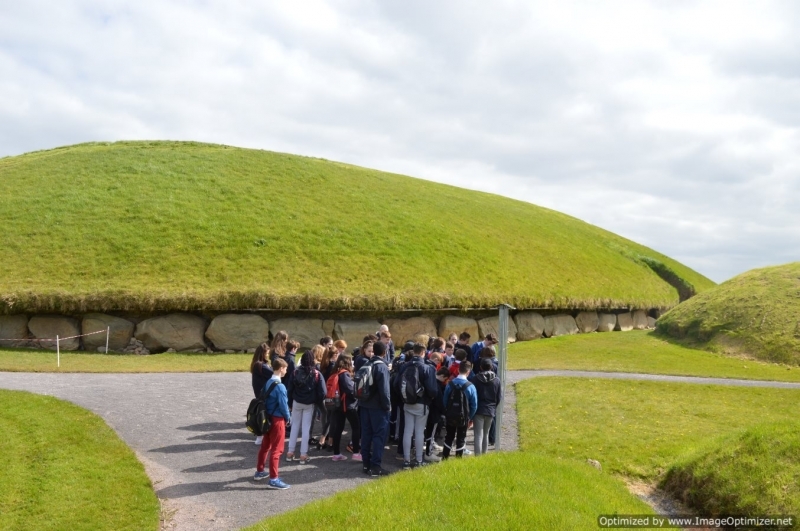 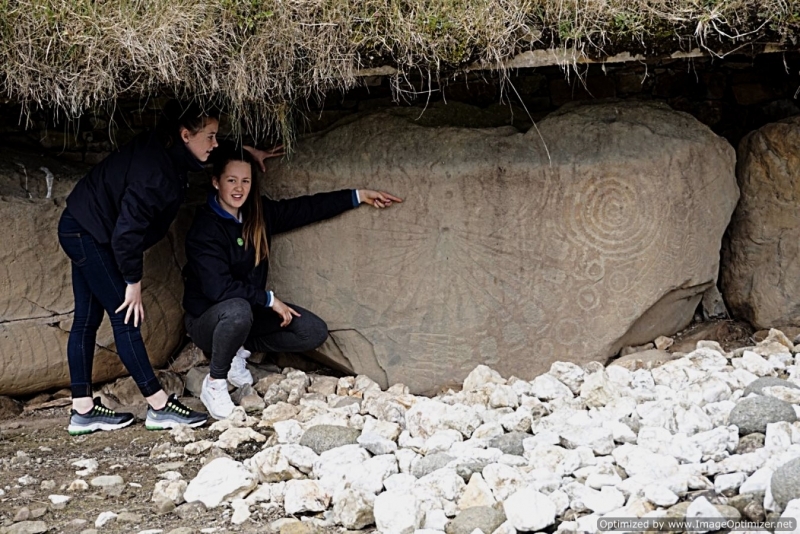 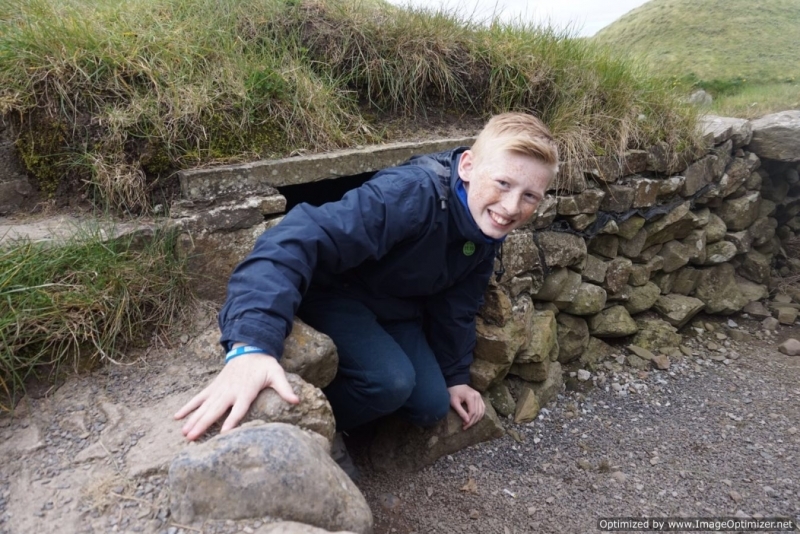 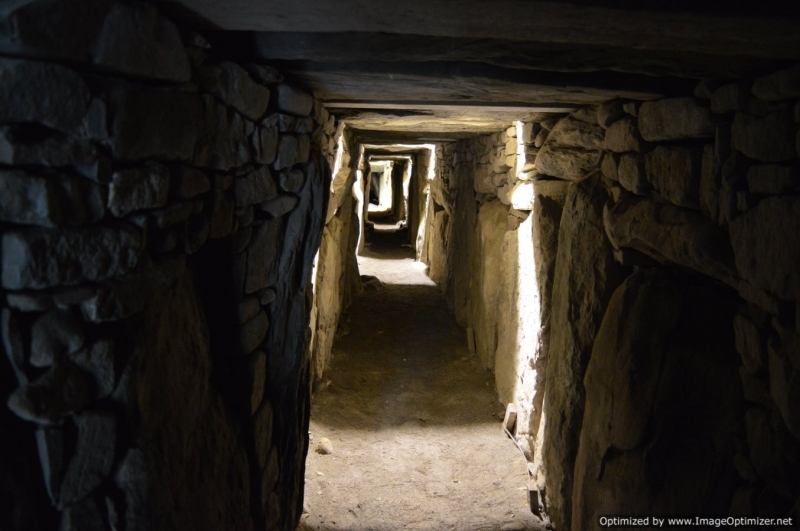 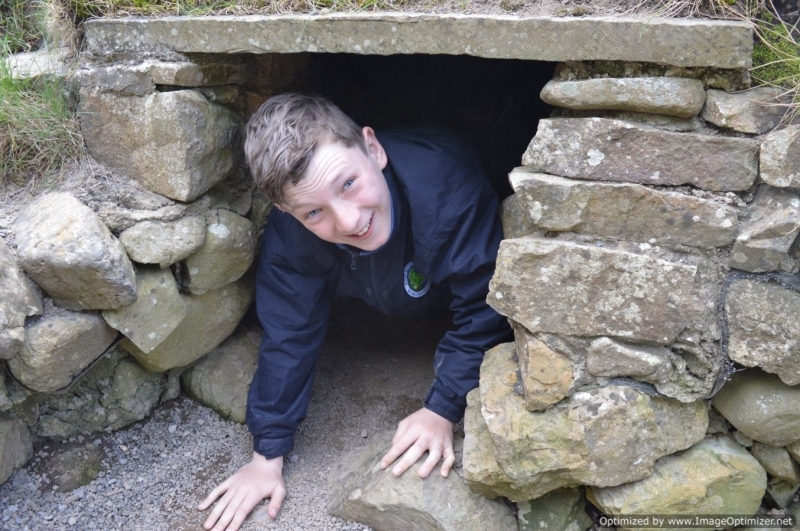 Among the sites visited were the Neolithic Passage Tomb complex at Brú na Bóinne, where students particularly enjoyed crawling through a souterrain before entering the 4,500 year old passage tomb at Knowth. 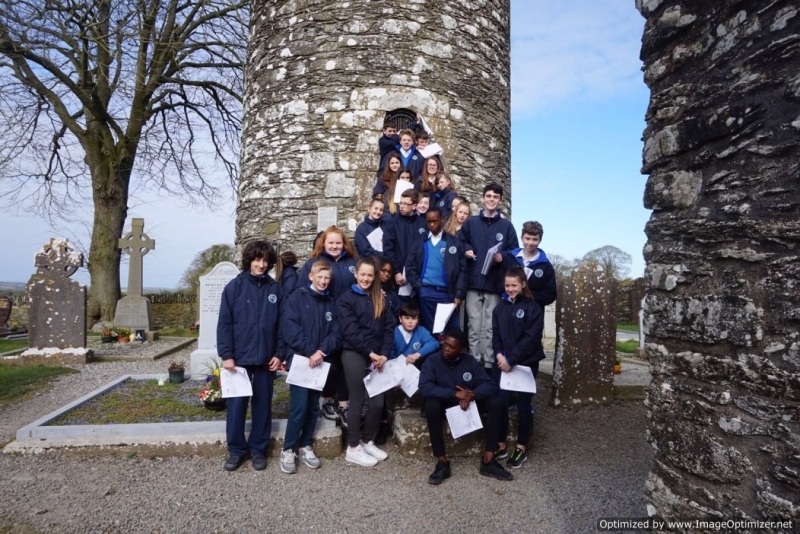 Some students travelled to Monasterboice, an Early Christian Monastery, to see the Round Tower and the carvings on Muirdeach’s High Cross. 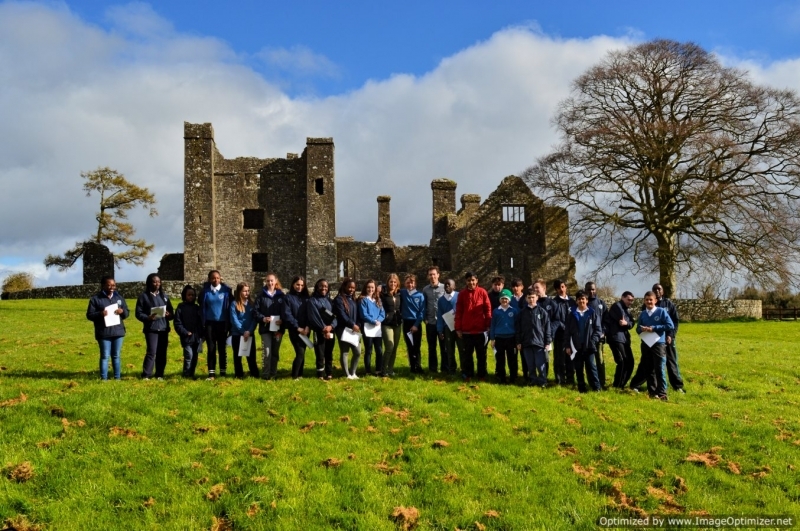 Others travelled to Bective Abbey, a Medieval Monastery, built by the Cistercian Order on the banks of the Boyne. 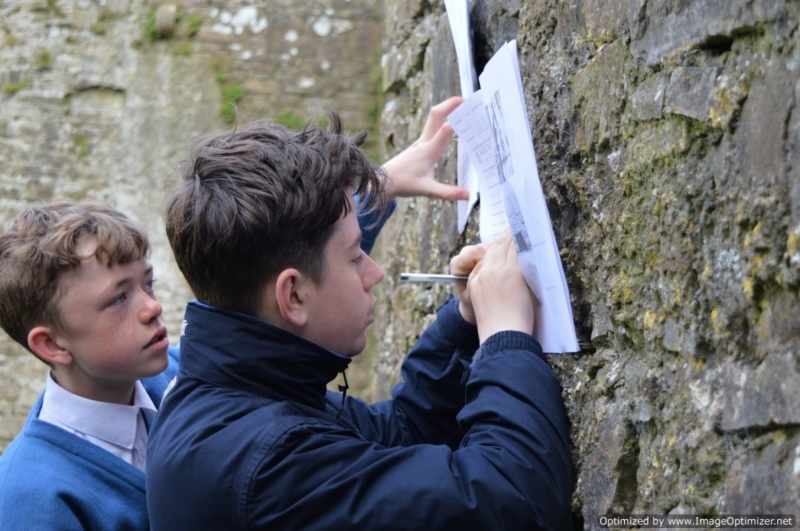 While at these sites, the students had the opportunity to carry out a scavenger hunt, where they had to find and photograph certain features to win a prize. 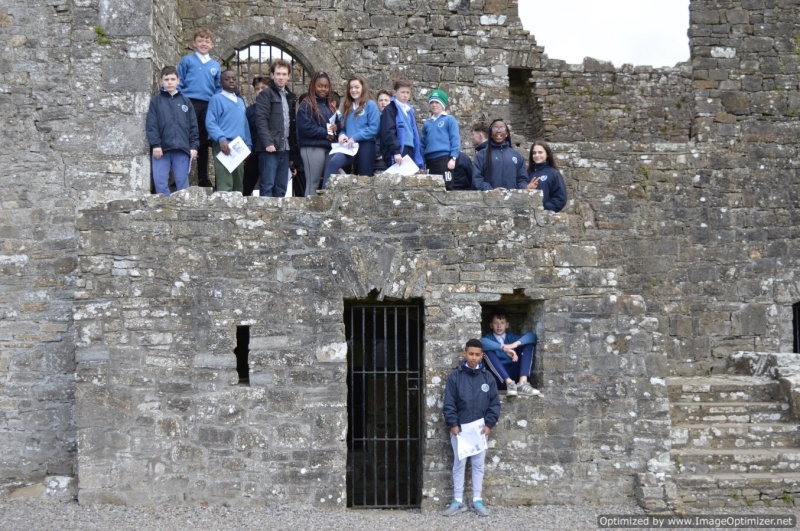 Most agreed that the highlight of the day was the visit to Trim Castle. 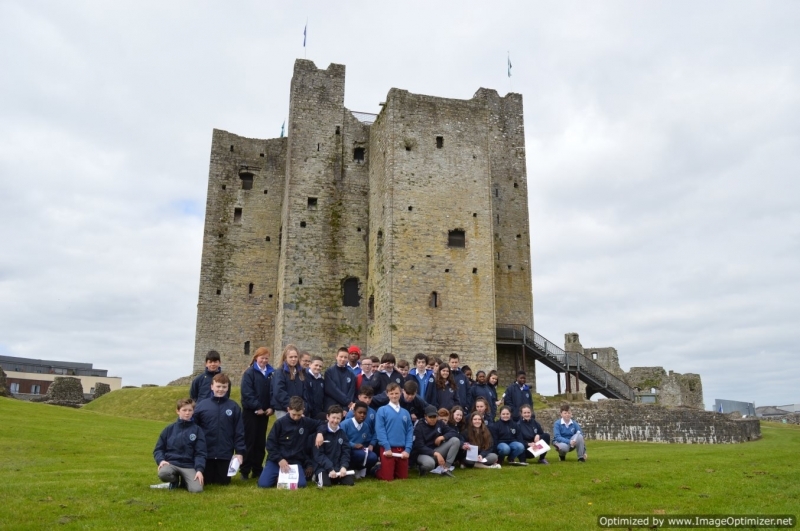 The castle, built by Hugh de Lacy, is the largest Norman structure in Ireland. 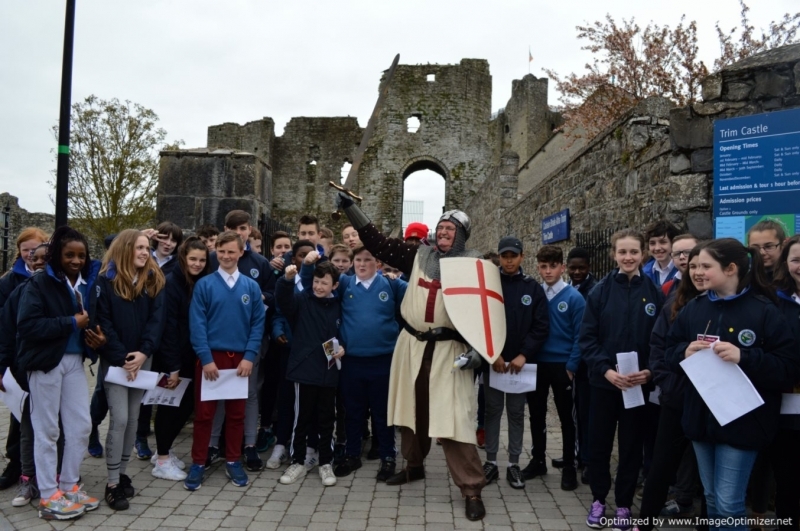 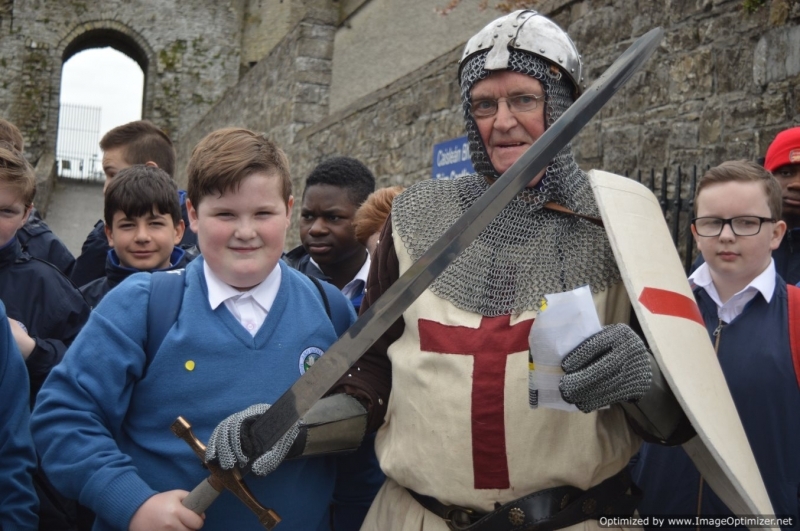 Our students were greeted by a medieval Knight outside the Curtain Walls before walking through the gate to see the Keep, arrow loops and defensive towers. 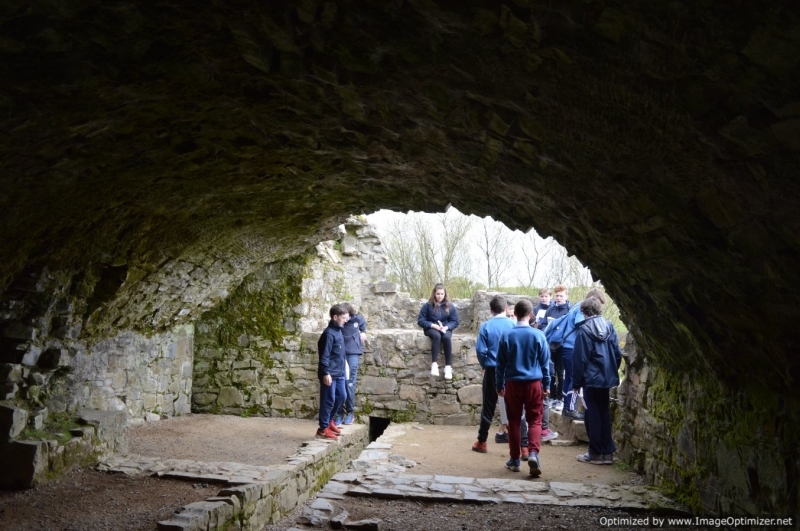 They were brought up the spiral staircase and onto the roof to view the Battlements.